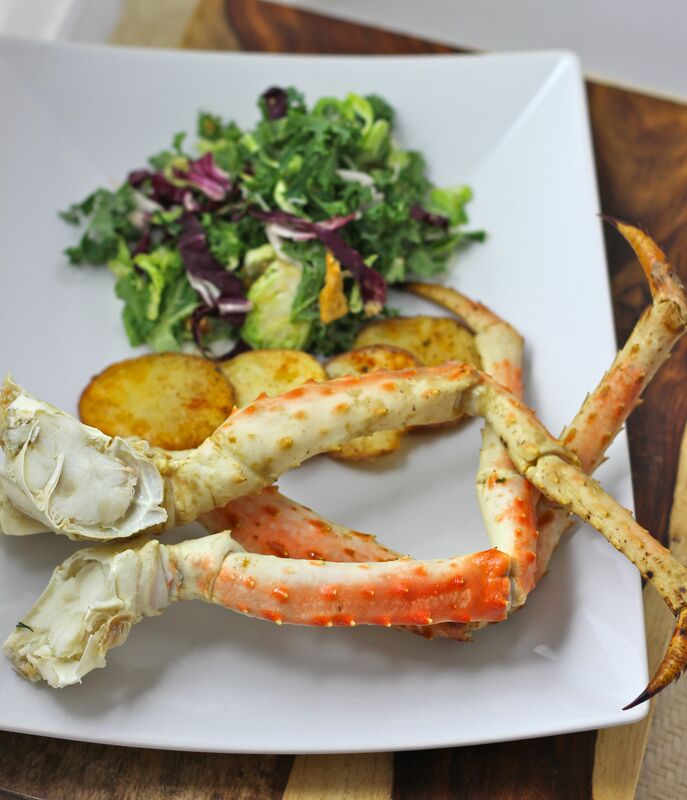 I made this crab leg dinner for 2 for under $30! 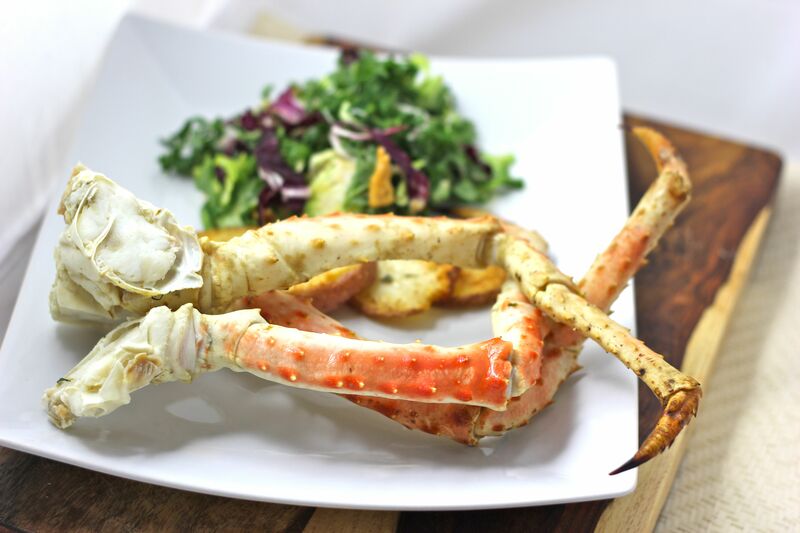 I found the king crab legs at Smith’s grocery store for $7.99 per lb. 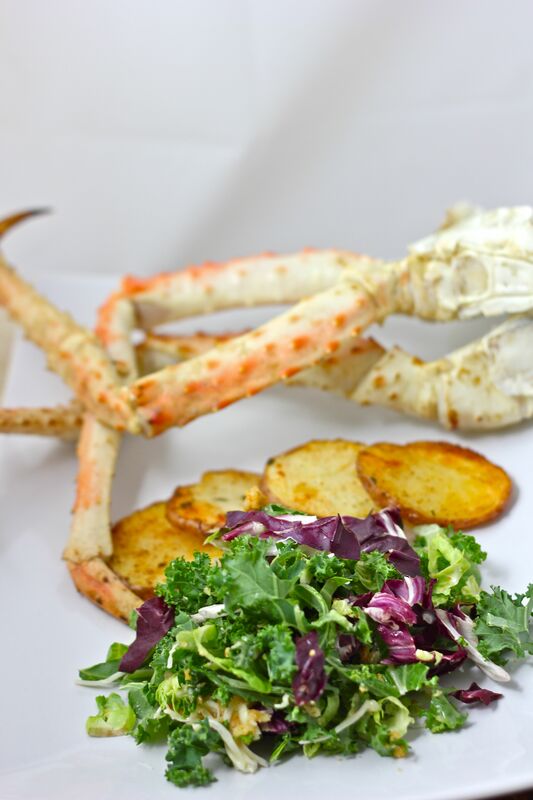 I served them with oven roasted-rosemary potatoes and a pre-made chopped kale salad.